Insulin, a hormone produced by the pancreas, regulates blood glucose sugar. The release of insulin signals cells, mainly in muscle and the liver, to absorb glucose from the blood. However many horses and ponies prone to laminitis produce abnormally high levels of insulin in response to eating a high starch and/ or sugar meal, suggesting that it is this peak in blood insulin that may lead to endocrine laminitis. In order for insulin (or other hormones) to produce its effects, it must interact with specific receptors on the surface of cells. However there does not appear to be any insulin receptors on lamellar cells which in the past, has left scientists confused about how large spikes in insulin might cause laminitis. Although lamellar cells do not appear to have insulin receptors on them, they do have receptors for a similar hormone called insulin-like growth factor 1 (IGF-1). In a recently published study, researchers incubated lamellar cells with increasing concentrations of insulin. Not only did they find that that high concentrations of insulin stimulated IGF-1 receptor cells to multiply, this effect could be prevented by using an antibody that specifically blocks only IGF-1 receptors. This study provides part of the missing link between high levels of insulin in the blood and laminitis. 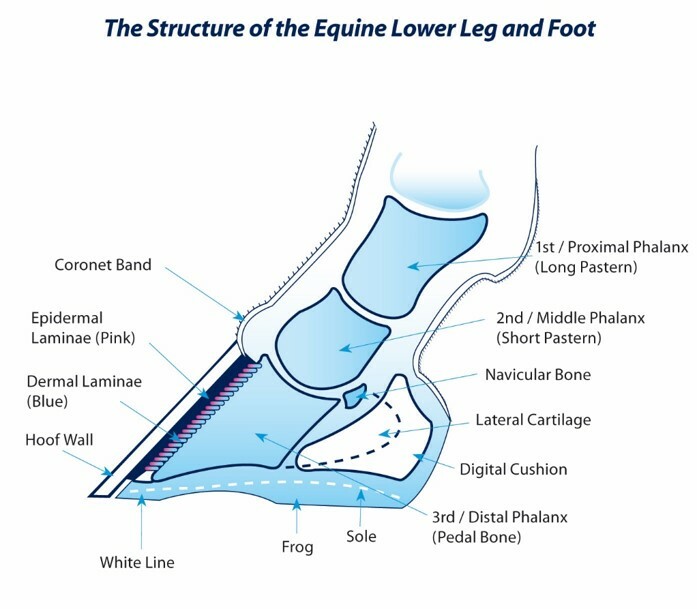 Further research to understand exactly how cell changes in the hoof induced by high insulin may cause laminitis is already underway. 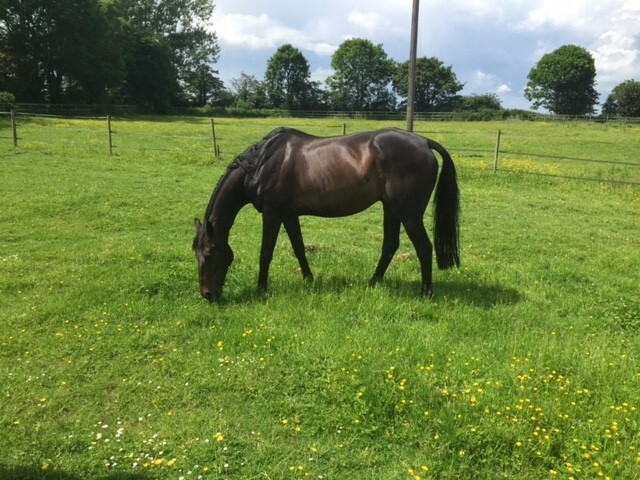 However it seems that developing drugs which target IGF-1 receptors could help to prevent and treat laminitis in the future. Baskerville C.L., Chockalingham, S., Harris, P.A., Bailey S.R. (2018). The effect of insulin on equine lamellar basal epithelial cells mediated by the insulin-like growth factor-1 receptor. PeerJ 6:e5945 (DOI 10.7717/peerj.5945).